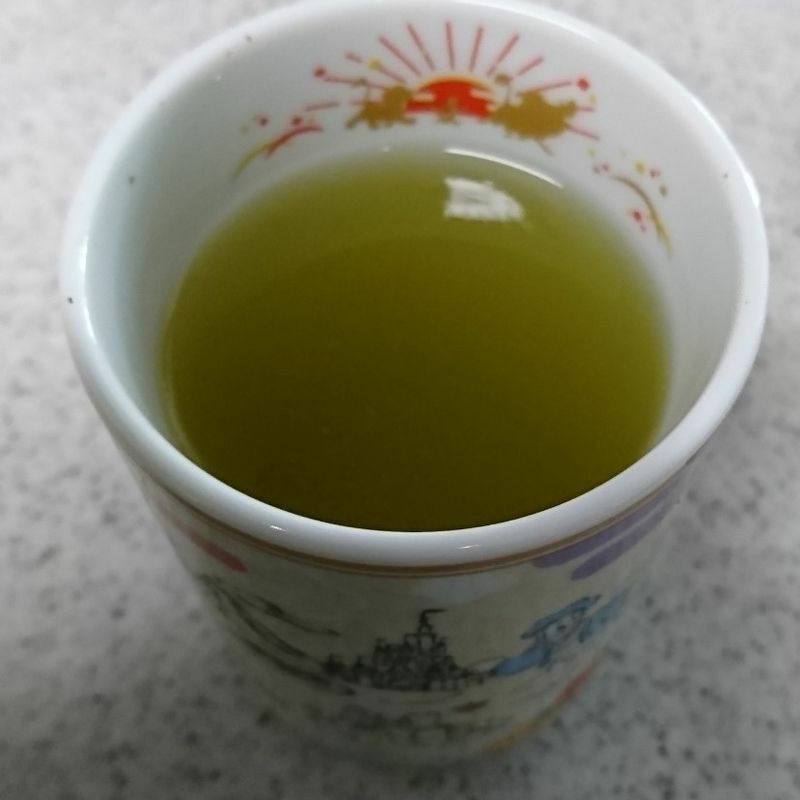 Gifted Green Tea from Kakegawa: Glorious! This lovely batch of sencha comes from Kakegawa in Shizoka, a place famed for its tea growing prowess and often mentioned in blog posts. 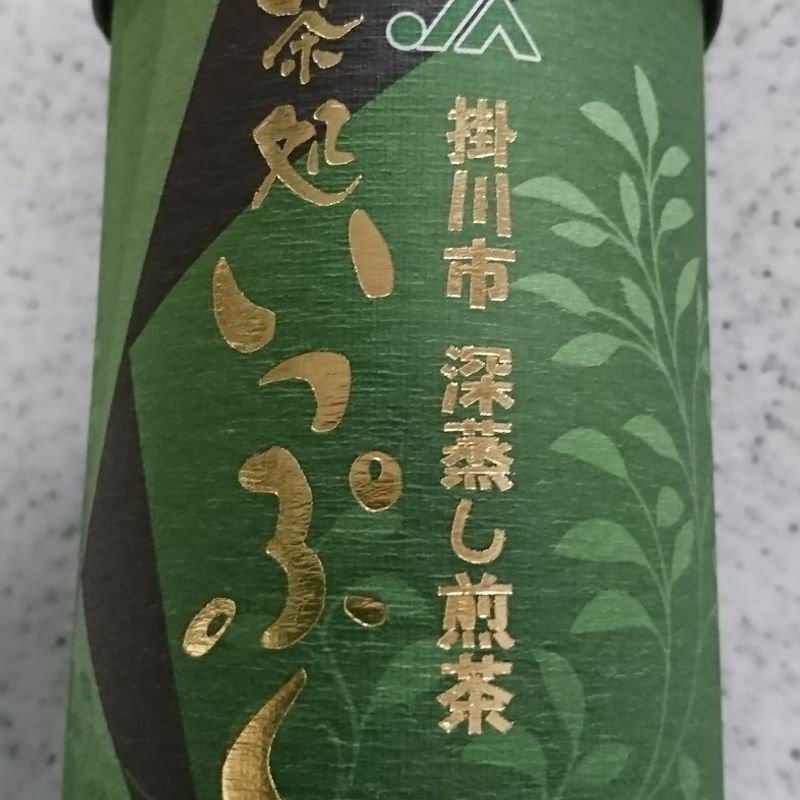 Some fields in the city are said to utilize a traditional type of tea growing that allows regional grasses to be grown nearby, and perhaps that explains the light floral aroma that the tea leaves have upon the opening of the package. The overall tea smell is fairly light and the two together promise an interesting tea experience. I would love to tell you where to buy more of this tea, but unfortunately I can't. I have no idea where it came from after growing in Kakegawa as it was given to me as a present by a dear friend living in my area. 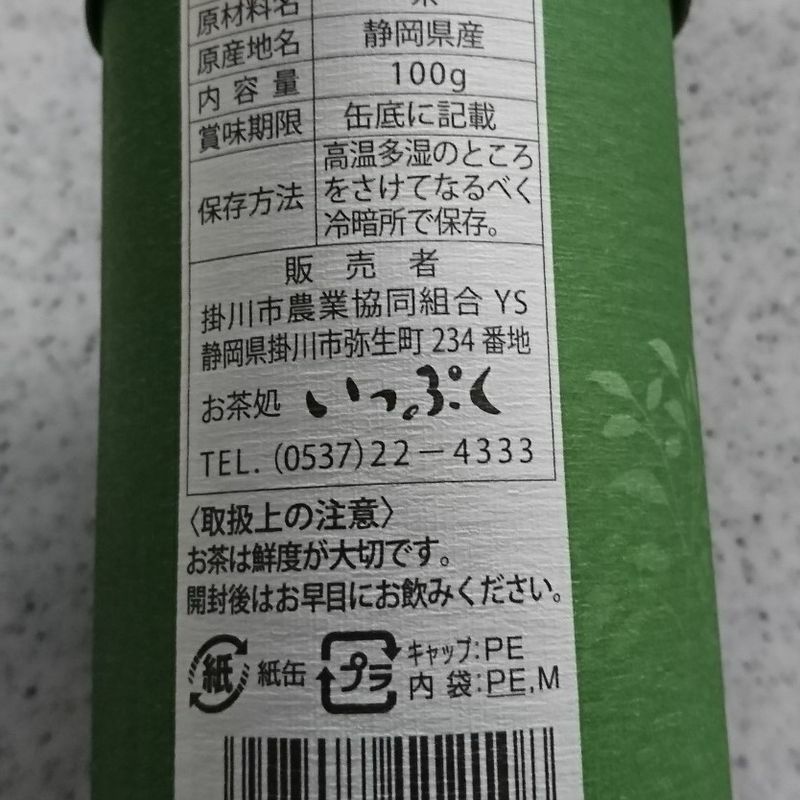 I do know that my package was produced in November of last year and that this tea is apparently recommended for tea ceremonies given the kanji on the front of the container. Also unfortunately, I do not have the skill nor patience for tea ceremony in my home, so this tea was made in a normal, boring strainer, but placed in my favorite new tea mug, if that makes any difference to the tea. I was surprised at the opacity of this tea. Upon removing the leaves, I found the resulting beverage to be significantly more opaque than most green teas I have tried, hot or cold, by leaf or powder. I could not see the bottom of the cup. The color of the tea was lighter than I would have imagined as well. It was almost as if someone mated melon soda and traditional green tea, halving the difference in opacity and hue into something completely new. Luckily, that was where all comparisons to melon soda stopped. The flavor was light and comfortable. It was so easy to enjoy that I drank most of my mug in two sips without realizing it. This is easily some of the best and most easily enjoyed green tea that I have ever put in a cup. After the tea had a chance to settle, I found the downside to using a ceremonial tea in an ordinary way. The amount of leaf residue was higher than expected, leaving more tiny flakes of tea leaves in the bottom of the cup than I was used to seeing. Usually, I avoid drinking these dark green dregs but on this occasion, I was left with just enough liquid tea to attempt to disperse them back into the beverage, which worked well enough that I had no problem downing the last of the drink. This was all in all one of my absolute favorites in the Shizuoka Green Tea experience. 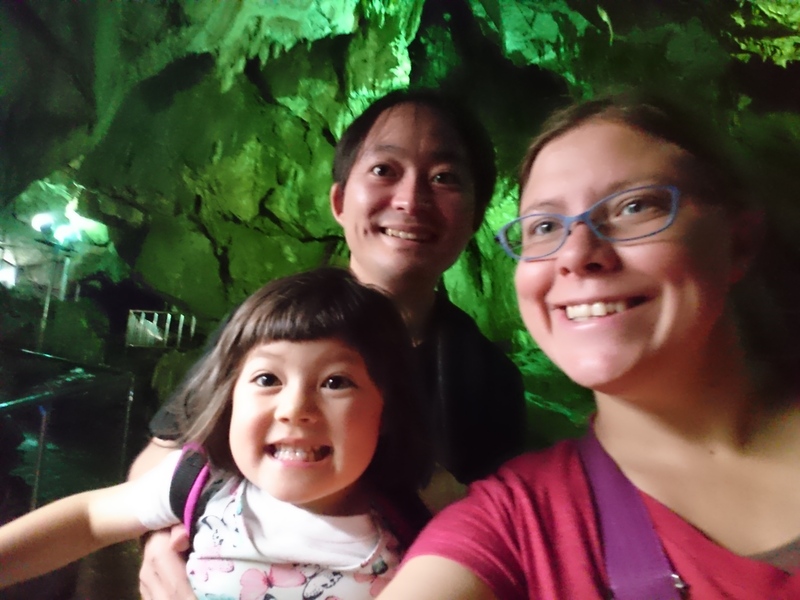 This post is supported by Shizuoka Green Tea Guide, one of City-Cost's Supporters helping City-Cost bloggers to enjoy life in Japan and engage in new experiences.